One of the best USA bats gets a facelift. The Rawlings 5150 USA bat is a one piece metal alloy baseball bat with a loud ping, massive sweet spot, and a balanced feel from the minus 10 length to weight ratio. Note: for an even more balanced and lighter version of the Rawlings 5150 USA bat please see the minus 11 ounce version. One of the most popular USA bats ever made, the Rawlings 5150 is built upon the premise of keeping it simple. Make an easy to swing bat by giving it good balance. Give the hitter a big barrel for better opportunity to hit the baseball on the sweet spot. Eliminate almost all vibration. Keep it affordable. Rawlings has figured out the formula for a great USA baseball bat. 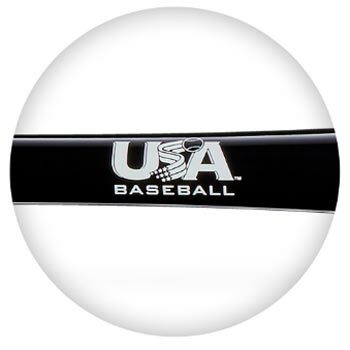 Get your 5150 Youth USA Bat today, right here at CheapBats.com! No Hassle Returns, Batisfaction Guaranteed!